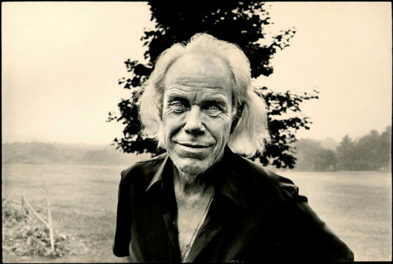 Frank Alvord Perret was a pioneering volcanologist who invented unique devices to measure geologic properties. One of these was a “geophone” that detected subterranean noises by amplifying the rumblings below the surface of the earth. The photo below shows Perret listening to the whispers of volcanic activity in Campi Flegrei, a volcano located near Mount Vesuvius, which erupted and buried Pompeii and Herculaneum in A.D. 79. The archaeological site of the Villa dei Papiri in Herculaneum served as the architectural inspiration for the Getty Villa. 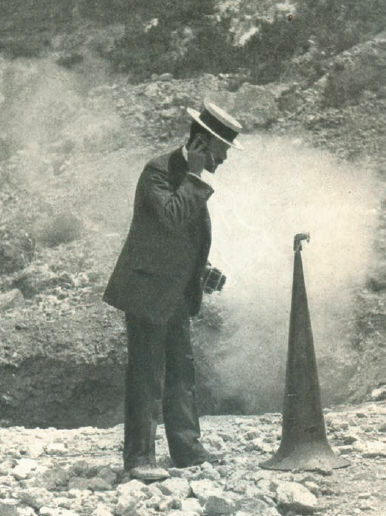 F. A. Perret with an improvised “geophone,” listening to subterranean noises at the Campi Flegrei, Italy, c. 1906-1907. Source: “The Day’s Work of a Volcanologist.” The World’s Work, V. 25, November, 1907. 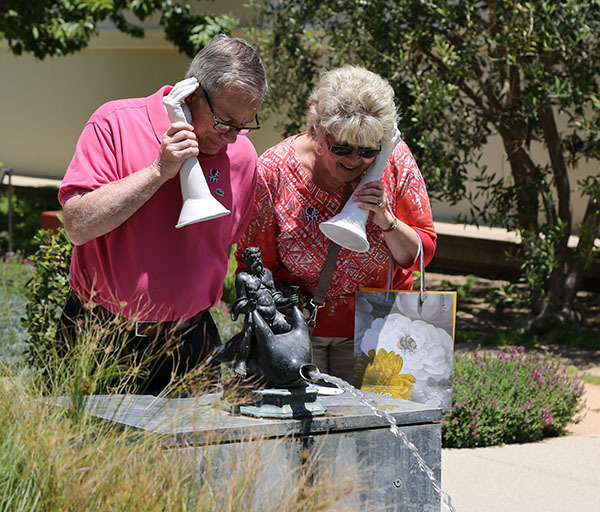 Directly inspired by Perret’s ingenious sound technology, I invented the “histophone,” a sculptural listening device designed to amplify the murmurs of history at the Getty Villa. (Histo means tissue in Greek, while phone refers to sound.) 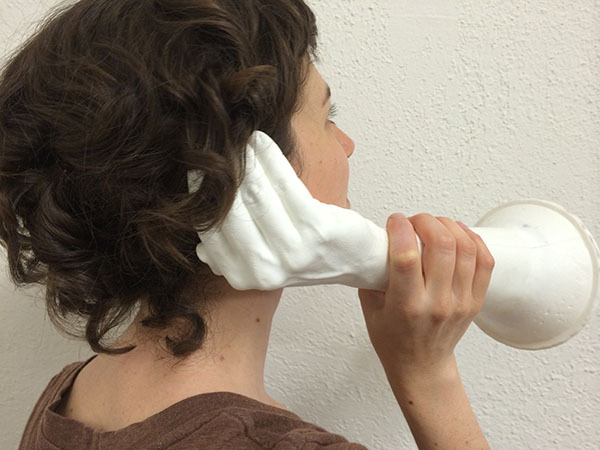 The histophone is composed of a hollowed-out sculpture of my right hand and forearm—cast in the contemporary medium of plastic—cupping my right ear and flaring out at the base like a trumpet. Histophones can also serve as speaking devices, magnifying an individual’s voice while simultaneously covering her or his mouth. How do sounds change depending on your body position, your direction, your eyes open or closed, or the position of the histophone? 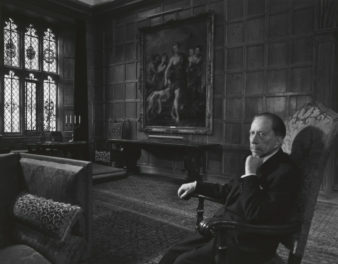 Can you imagine sounds coming from the art, architecture, and gardens? If a sculpture could speak, what would it say? Can you hear whispers from Pompeii and the Villa dei Papiri? 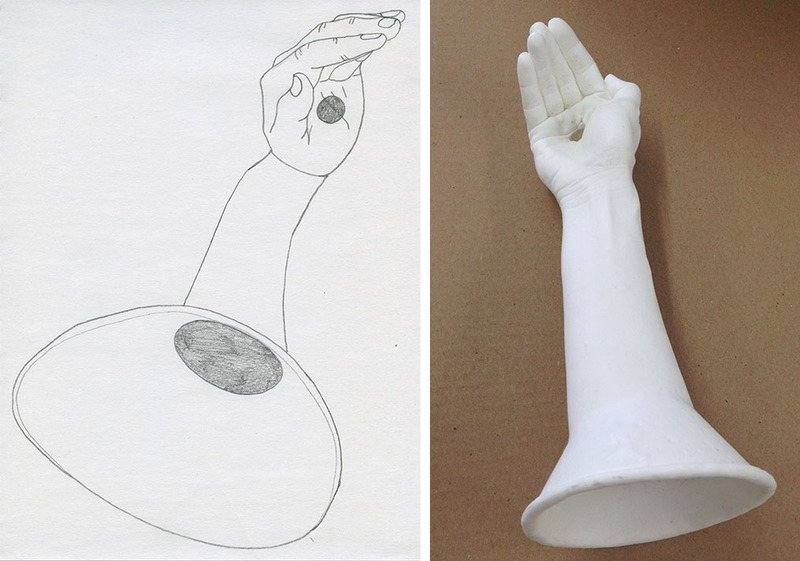 What are sounds you can make with your own body? Can you hear the tectonic plates shifting underneath your feet? How are natural and man-made sounds mixing and blending in this environment? I was surprised and delighted with the discoveries of Villa Murmurs participants. Each participant explored the acoustic properties of the histophone, engaged with the space, and investigated her or his own imagination in widely divergent ways. One participant wrote a poem about the sounds she was experiencing. Another listened to the ground, the rocks, and the walls of the Herb Garden. A third imagined conversations between the koi fish in one of the fountains. 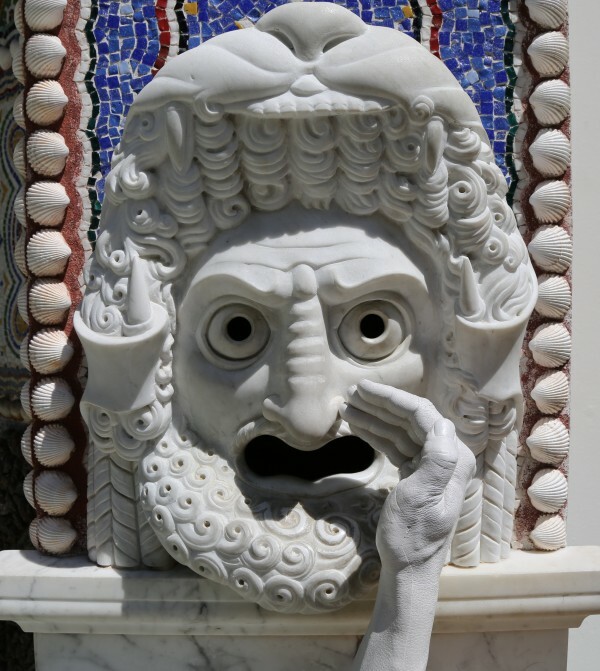 Although the Getty Villa is typically experienced primarily through one’s eyes, participants encountered the rich sensorial experiences that can be found in the grounds of the museum. Villa Murmurs is a part of a body of artworks I’ve been creating for the past four years around themes of sound, listening, and communication. I’ve created public artworks designed to activate ears and voices in various communities that greatly need spaces of listening, such as northwest Pasadena and buildings of Los Angeles City and County government. 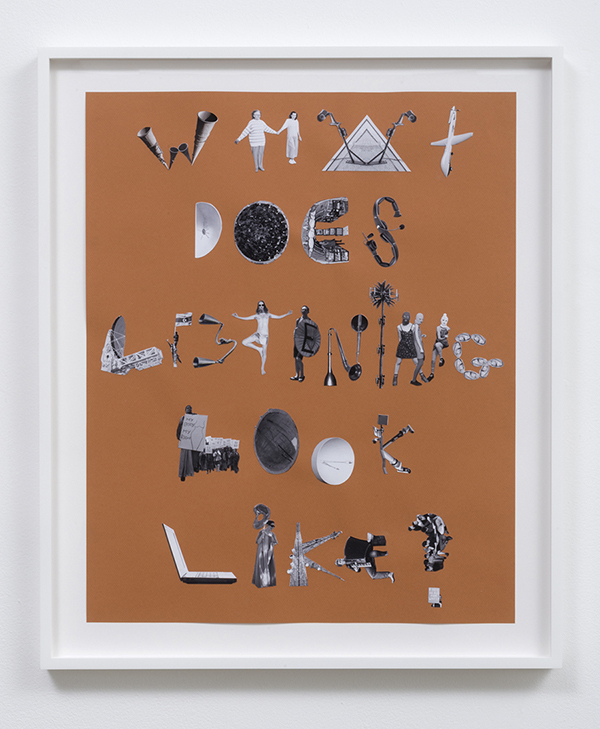 I also work more intimately with sound through collage, video, performance, and sculpture. In an age of technologically mediated communication, I believe that listening is a dying art, but one that is vital to a healthy society. Although not everyone has a histophone handy, anyone can take a moment to actively listen to themselves, the environment, and each other. I can only imagine what a powerful global shift this would make. Text of this post © Elana Mann. All rights reserved.